Toyota builds their vehicles to last. 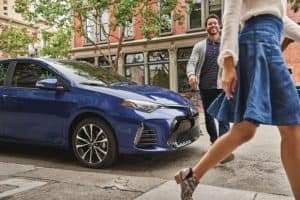 When it comes to longevity, Toyota is one of first manufacturers to come to mind, but even a Toyota will need regular maintenance to stay on the Miami streets for years. In fact, preventative maintenance is the most effective way to stop huge problems from forming down the line. To get the maintenance required to keep your vehicle healthy, you’ll have to find a reliable place to get Toyota service near Miami, FL. Don’t settle for anything less than certified Toyota experts. 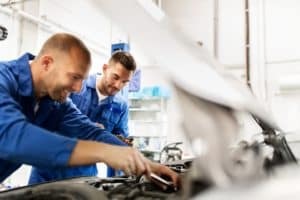 Whether you need a simple oil change or an entire engine mount replacement, the dedicated technicians of Doral Toyota have got you covered. No matter what your automotive service needs are, you can get them fulfilled at our Miami Toyota service center. Like every other facet of our dealership, our service center is dedicated to your satisfaction above all else. That means you can always count on the quick, quality service you deserve. All our technicians are certified Toyota experts. They can put your vehicle on a maintenance schedule to make sure you’re up to date with all the required repairs no matter the age or mileage of your vehicle. We offer brake services, tire services, oil change services, and much more. One of the best things about being the owner of a new Toyota is the ToyotaCare plan. With this no-cost maintenance plan, you’re covered for two years or 25,000 miles, whichever comes first. This plan includes all inspections, tire rotations, oil and oil filter changes, and fluid level adjustments needed. As a bonus, you can enjoy 24-hour roadside assistance for two years under this plan. Unlike the maintenance plan, roadside assistance has no mileage limit. This assistance covers a wide variety of problems that may arise, including a dead battery, locking your keys inside your car, and getting a flat tire. Additionally, they will tow your car if necessary or deliver fuel if you run out of gas. When you’re looking for a reliable place to get Toyota service near Miami, FL, Doral Toyota is happy to help. 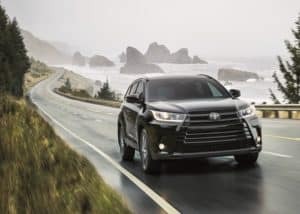 With our highly trained technicians and advanced tech, you can have your Toyota back on the road in no time no matter what the issue is. Get in touch with us to schedule your service appointment today! The city of Miami is world famous for its thrilling nightlife and alpha city status designating it as a major node in the global economic network. Considering it was only officially incorporated in 1896, it’s come a long way in the short time it has been around. Playing such a large role in the global economy, it’s easy to find work in Magic City. Miami isn’t all about work, however, as there are plenty of attractions to keep you entertained during your off hours. You can catch a show at the Adrienne Arsht Center for the Performing Arts, which happens to be the second largest performing arts center in the country. If music is more your taste, there are numerous festivals, including the Ultra Music Festival, to attend. Unique cuisine is also available here, thanks to the diversity of cultures who live in Miami.